Experts in the manufacturing of special orders and chambers direct from your drawings, data or verbal instructions. Where required Technical Support Engineer’s experience is available to you, ensuring we produce the correct design for your application. 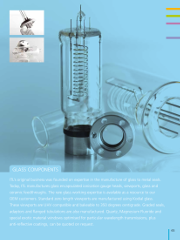 The comprehensive manufacturing facilities means building any custom vacuum chamber or fabrication promptly and cost efficiently whilst ensuring the highest quality standards. Large capacity machining centres and handling equipment are also available for the fabrication of special vacuum assemblies and chambers of up to two metres diameter. The highly experienced drawing office will produce engineering drawings of your proposed custom products based on your requirements and specification. Or if available working from supplied drawings. Supplying one off specials ranging from a standard part with an additional port configuration to multi-port chambers up to two metres diameter, utilising large capacity machining centres and handling equipment for the fabrication of special vacuum assemblies and chambers. One off’s on demand or manufacture and supply specials on a regular basis for high and ultra-high vacuum applications. Precision port alignment for analysis chambers, integral cooling coils and all required components, such as electrical feedthroughs, manipulation equipment and gauges can be pre-assembled and tested. All chambers undergo thorough processing and testing during and after manufacture and are 100% independently inspected. The ability to produce plotted inspection reports using our measuring arm and associated software, on request. Smaller items can be checked on our CMM, inspection printout which is also available on request. 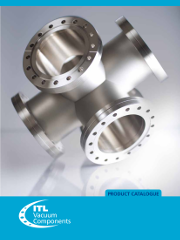 For all common UHV applications, stainless steel type 304L is recommended, however, vessels can be manufactured in other UHV compatible materials as specified by the customer and subject to availability. 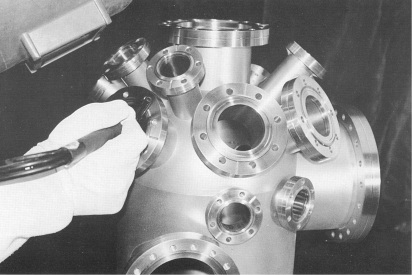 For sizes above 250mm OD vessels are generally manufactured from rolled welded stainless steel sheet; for most applications 3mm (10 swg) will be adequate although heavier gauge materials may be used if requested. ITL standard practice is to position flanges so that bolt holes are aligned with the major axis of vessel or components. Fixed flanges can be welded to any orientation specified by the customer. The following stand-off dimensions are available as standard. Alternative lengths can be specified if required. Dimensions up to 305mm OD: ±1 mm. If this is adequate your sketch need only show dimensions in millimetres and angle in degrees. If one or more dimension is critical please indicate clearly what you require and how closely it is necessary to work, eg. Flanges to be parallel within: ±30 minutes or arc.